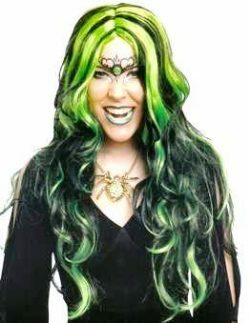 Horror hair for you to wear -great Halloween styled wigs to buy. 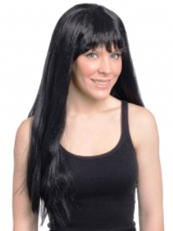 Long black 40 inch length fringeless wig. 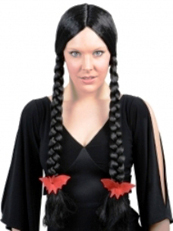 April Addams long black plaits wig with red bat ties.Also great for an Oktoberfest character costume. 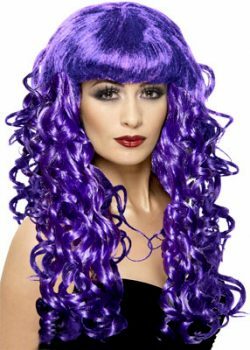 Beautiful purple curly long fringed wig. Great for Halloween characters. Long fringed white wig with black tinged crown. Black and white Evilene character wig. A beautiful Halloween wig to wear with your favourite horror costume. Frantique wig in black and green. Long fringeless black gothic witch styled wig. 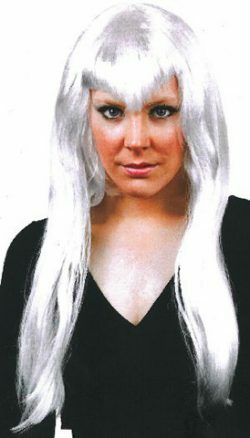 Long fringeless white gothic witch styled wig. 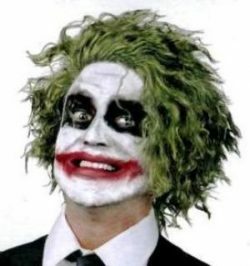 The Knight Joker green tinged messy hair character wig. Long black fringeless wig with white stripe.Lady of the Crypt. 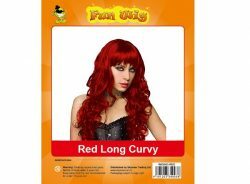 Woman’s fringed long curly red wig. The most popular womens long black wig we sell. So many characters are completed with a sleek new wig like this. Mad Hatters orange character wig and attachable eyebrow set.